In the 1960s, Stanford psychologist Walter Mischel and his students conducted studies on self-discipline in preschoolers. In what has now become known as The Marshmallow Test, toddlers were given the choice of eating one marshmallow immediately, or waiting a few minutes and getting two marshmallows. 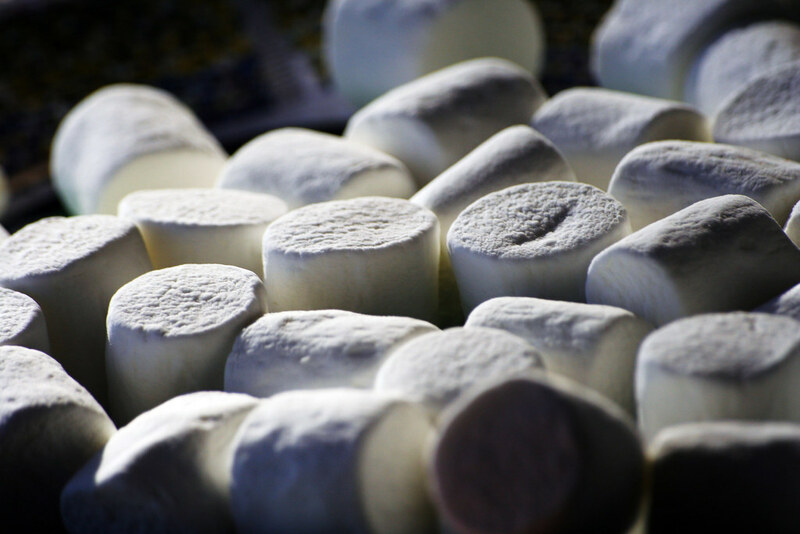 Those who were able to successfully delay the gratification of eating the marshmallow ended up later in life with higher SAT scores, better cognitive function, and a higher sense of self-worth. Delayed gratification was the hallmark of my upbringing. As children, my siblings and I were taught the value of practicing musical instruments, completing our homework promptly, and saving money. At Christmas time, we waited until the weekend before Christmas to purchase a tree, and didn’t put up Christmas decorations until shortly before Christmas Eve. In hindsight, that last example may be a simple case of procrastination. Delayed gratification can have unintended consequences when applied to the wrong sorts of incentives. Consider clothing. Have you ever saved an outfit or piece of clothing you truly love for an as-yet-unknown occasion? You envision it being ready, pristine, if and when that special occasion arrives. When you eventually you reach for that outfit, you discover that you have changed shaped. Or styles have changed. Or, when you pull it out, you simply don’t love it as much as you remember. Stuff happens. Someone once gave me a beautiful outfit for my infant daughter, which I dutifully set aside, pulling it out only when until she very nearly didn’t fit it. Saving for later can lead to loss, instead of gain. And this is true in the world of writing. Writing a book is an exercise in delayed gratification and self-discipline. Authors who work on books for months, sometimes years, would have aced that marshmallow test as toddlers. But in writing as in life, saving for later can turn into unhealthy hoarding. This happens when writers hesitate to talk about their books or works before they come out, for fear of giving something away. If you’re writing fiction or suspense, that’s fair enough; you don’t want to put any spoilers out. But when you’re writing nonfiction, this attitude can lead to trouble. As with clothing, it’s best to wear your ideas out in the world, try them on and see how they fit. If people find them useful in a blog post, they will like them in a book. Set your good ideas free and see what happens. You may even build an audience. The marshmallow test is predicated on the idea of scarcity. A toddler doesn’t have unlimited access to marshmallows, so sweets are a scarce commodity. It’s worth the toddler’s effort to wait and double the haul. Share good ideas and they get better. Share a good joke and laughter spreads. Love expands and multiples as you share it. Each is a product of abundance. If you find yourself saving your best ideas for a later, optimal time, ask yourself a few questions: Exactly when is that perfect time, and what’s wrong with right now? Will this idea still have the same shimmer months from now? Are that many people hanging on my every word that people are likely to steal these ideas? If you’re writing something wonderful, don’t keep it secret – tell the world. Publish blog posts, start conversations. Share your good ideas, because in most cases, the act of sharing will magnify them. The risks of sharing are low, and the potential benefits high. Go ahead, share the marshmallows.